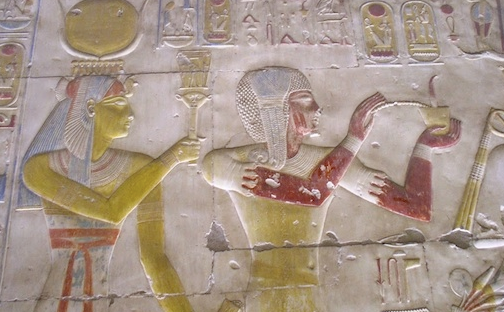 Dr. Amy Calvert is the Contributing Editor for Ancient Egyptian art. Amy holds a Ph.D. from the Institute of Fine Arts at New York University and has been involved in several excavations in Italy, Egypt, and the U.S. She has acted as registrar in the field for the Osiris Temple Project with the Yale-University of Pennsylvania-New York University Expedition to Abydos and has worked at The British Museum and the Museum of Fine Arts, Boston. Ancient Egyptians mastered a variety of techniques and materials—some that suggest trade with far-away nations. How was the funerary and monumental art of Egypt meant to be seen and interpreted? Ancient Egypt had an enormous impact on ancient cultures—even today Egyptian culture permeates society.